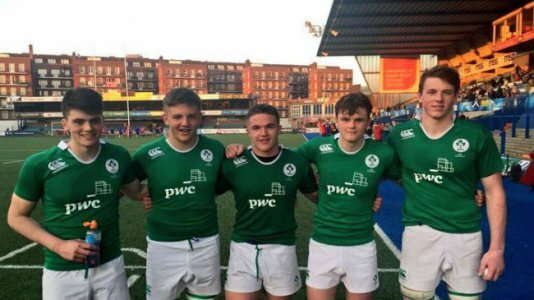 The under 18 women’s squad of Ireland were able to overcome the Wales team as well as Scotland and England during the pool stages of the Sevens champion round on Saturday. This team was able to defeat the Scots at a score of 26-5 while they defeated the English in 28-19; this was at the knockout clashes on Sunday. The Ireland Sevens team was able to perform, whether they were playing at San Francisco or at Birmingham. The team was able to represent the country and with distinction. This was concluded over the weekend; it was as a result of their undefeated run that the Under 18 women’s team was crowned series champion in Home Nations series. The final and the second leg of the series were held at the University of Birmingham. The team has Elaine Ryan as manager and Adam Griggs as their coach; with their support the girls have been able to excel and their winning streak has gone to ten matches. It also underlines the dominant position that they hold in the competition. They were able to overhaul the Wales with a score of 17-5 and in this game they were fiercely contested. They were also able to hold off a strong comeback from England who were hosts of the game and the finals ended with a score of 28-19. Ireland team was able to showcase their well honed skills; they also held their composure while on both sides as well as kept their eye on the try line that made them the leading team throughout. They had a score of 23 attempts during five games which they played in West Midlands. Players such as Parsons, who made a debut this season as well as Anna Doyle, who is competition captain and Megan Burns, put in considerable attempt at the games.